Warming up but staying active in the mountains today. A warming trend will result in a heat wave later this week. The potential for mountain showers and thunderstorms continues, but a warming trend will return in your Monday forecast. Most areas will stay dry today, but there will be a decent chance for some active weather in higher elevations this afternoon. The best chance for showers and thunderstorms will be along the Sierra from around 1pm to 6pm today. 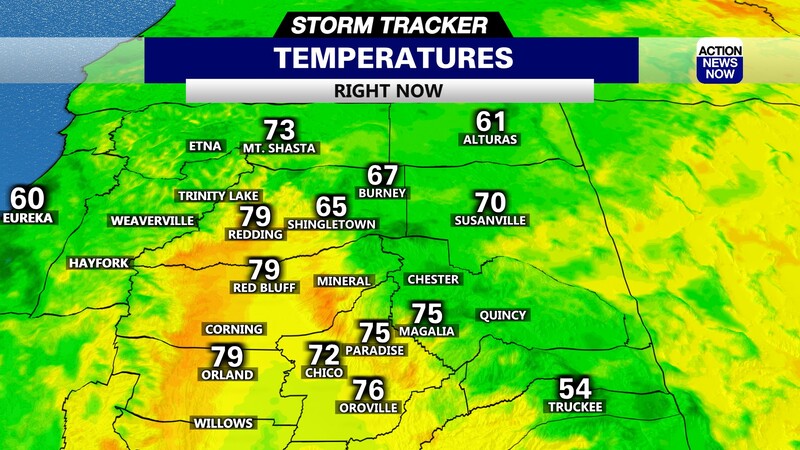 Skies are mostly clear for the start of your Monday, and temperatures are mild this morning. Valley areas have dipped into the 50's to low 60's overnight, and mountain areas are starting out in the 40's this morning. Skies will be sunny to mostly sunny in most areas, but clouds will increase in the mountains this afternoon. Showers and thunderstorms will both be possible in higher elevations. 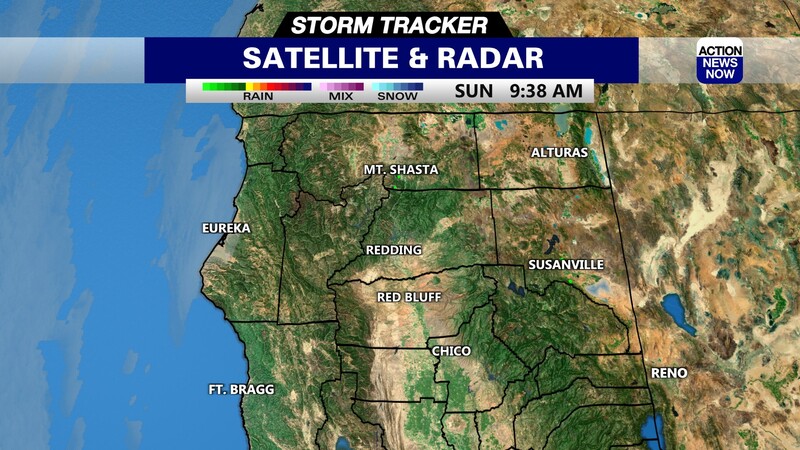 Valley areas will stay mostly sunny today. Winds will be out of the Southwest to around 10mph this afternoon, and humidity will bottom out at around 20 percent. The warm, breezy, and dry weather will result in high fire danger today. High temperatures are projected to top out in the low 90's in the valley, and into the 70's to 80's in the mountains this afternoon. Dry and warmer weather is on the way for your Tuesday. Skies will be sunny, and most areas will have temperatures that are 3 to 5 degrees warmer than today. The warming trend will continue on Wednesday, and will then ramp up later this week. Sunny, dry, and hot weather are on the way in your extended forecast. Valley areas will end up in the mid to high 90's on Tuesday and Wednesday. Triple digit heat will be possible for the Northern zones of the valley as early as Thursday, but mid valley areas will still top out in the mid to high 90's. Triple digit heat is expected for the entire valley on Friday, and skies will stay sunny. Severe heat is on the way for your weekend. 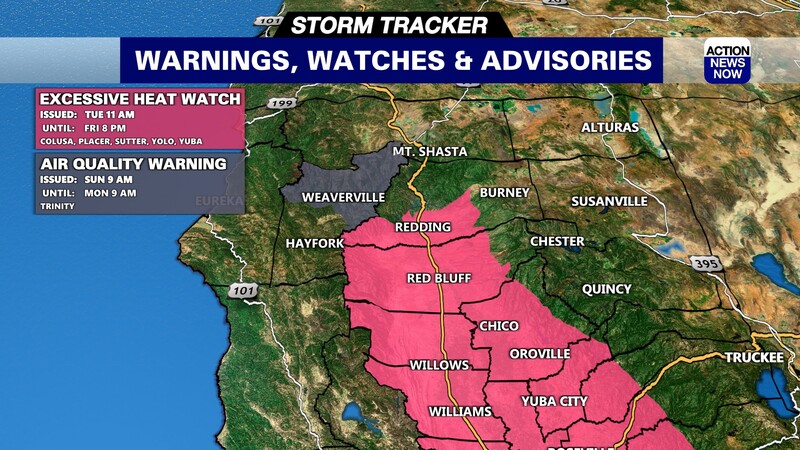 Temperatures in the valley are projected to range from around 105 to 110 degrees over the weekend. The heat paired with low humidity will result in high to extreme fire danger this weekend. Heat related illness will be a major concern with the rise in temperatures ahead, so please always make sure to keep a close eye on loved ones. People under 6 years old, over 65 years old, anyone with existing health issues, and pets will all be extremely susceptible to heat related illness. Please keep a close eye on anyone you know in those groups during the heat wave. Temperatures are expected to drop heading into next week.